Limited release! Only 10 prints have been made of this image! Prints are made from high resolution digital photographs of the original artwork, and are printed on archival quality paper. Prints of this work are available in 2 sizes, 5 in. x 7 in. and 11 in. x 14 in. Prints are mounted on foam core board and protected by a clear plastic sleeve. Each print is numbered and signed by the artist, and includes detailed information on the original artwork. 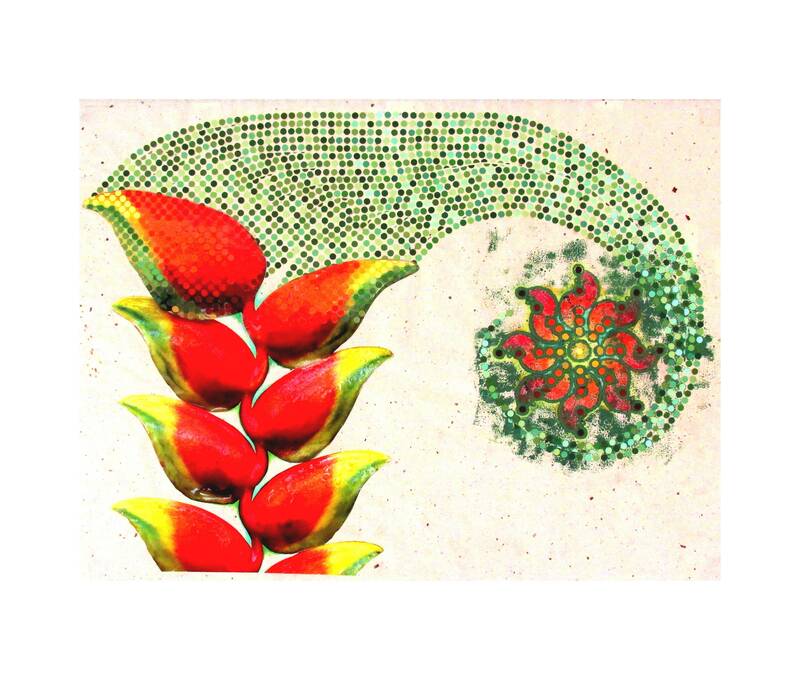 The original piece “Seeds of Life” is a collage, mono-print & colored pencil on textured paper measuring 19 in. x 25 in.